Do you ever get really excited when you see a Zoltar machine hanging out in the most obscure places? I do! I always have to give it a try, I've made it a tradition. Some of my nieces and nephews are terrified of Zoltar. I warn them that Zoltar sees all and not to be afraid! I think it's because they don't like retro carnival themed things. I can't blame them, because I find some of it quite disturbing too! 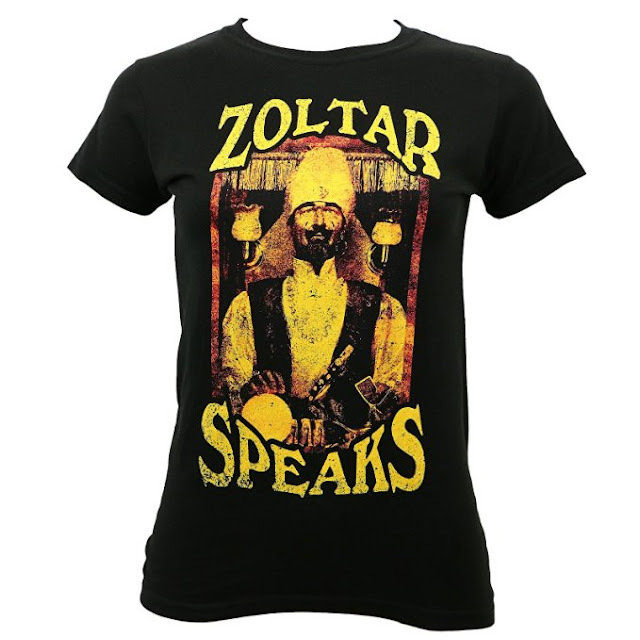 To pay tribute to my favorite fortune teller, I really need to get one of these Zoltar Speaks shirts on Amazon. I just need help on which one I want! They're both very cool. 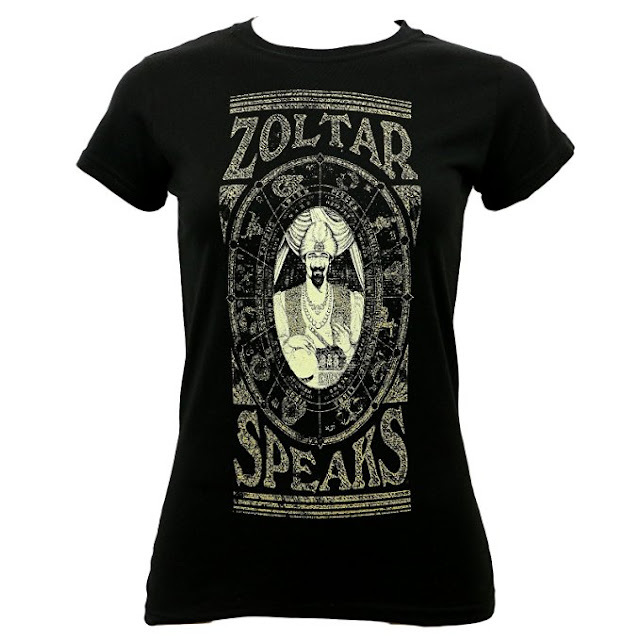 I really enjoy the zodiac surrounding Zoltar on this Zoltar Speaks t-shirt. The whole design is a little ominous, but that's what I really love about it. The machine itself is totally creepy and has a mystical air about it. Can you help me make a decision? It's a hard choice, because I enjoy both of these Zoltar Speaks shirts. The artistic rendition of Zoltar with the zodiac is gorgeous, but I am definitely on board with a more honest and classic t-shirt of Zoltar. What do you guys think? Comment below!